What are we really using LinkedIn for? 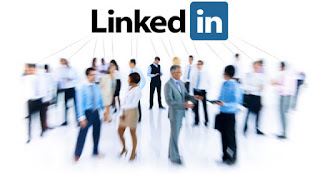 Since the beginning of this summer, I have noticed an increasing popularity around the social media platform LinkedIn. While I made an account on LinkedIn during my freshman year of college, I was never too active on the account until this past year when I began to network with people that I felt the need to connect with. Maybe it is because my peers and I are now beginning to advance in our careers, but it seems that I am not the only one who had the same idea. When I first made my account, I was prompted to sort through the “suggested connections,” so I connected with any close friends who also had an account at that time. As I have met more people in college, I have continued to go on and connect with those I felt necessary. However, lately I have been receiving requests from all different people, some of whom I have not seen since high school. The times where I have watched my phone light up with the notification asking if I would like to connect with someone from high school that I barely knew then–or even have a remotely similar career path to now–lead me to think about what the purpose of this platform really is. Typically when you think about logging into LinkedIn, you would probably end up updating a section of your profile or connecting with someone that you recently met in a professional setting. One of the best aspects of this app is its ability to allow you to stay in contact with past professors and employers. Some people have even heard of that one friend of a friend’s sister who received a full time job with benefits right in her LinkedIn inbox. With the importance of networking rising, LinkedIn has become crucial for staying in contact with those who could be beneficial to your career. Or has it really just become a way to brag about your accomplishments to others? If the future chemical engineers, firefighters, and financial advisors that I went to high school with want to connect with me, a communications student pursuing marketing and PR, what could have prompted their decision to connect with me? There is a slim chance our industries will ever cross paths, so did they just want me to look at their profile so I can see how well they are doing in college? Or has LinkedIn become a spinoff of Facebook where you need to have a certain amount of connections to be taken seriously? Whatever their reasons may be, the most important thing to remember when using LinkedIn is that even though it has become the easiest way to present yourself as a professional, it is crucial that you are still able to network and act professional offline and in a public setting as well. Do you think the people you connect with on LinkedIn should be relevant to the industry you are planning to have a career in? Or should you have as many connections as possible, even if they are from completely different industries? Tell us your thoughts in the comments! Previous Post Instagram: Friend or Foe?